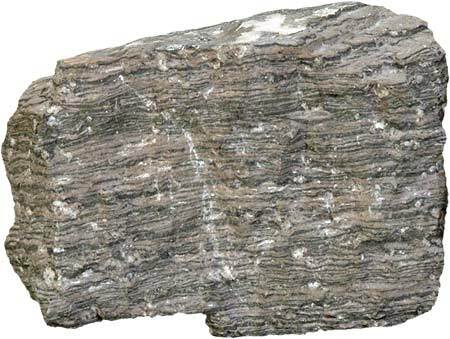 Marcellus shale is a sedimentary rock which has exposure in eastern North America. It is found in the Appalachian basin where black shale of Devonian period called Marcellus shale. The name Marcellus is from the nearby village named Marcellus, New York, United States. This formation is extended into much of the Appalachian basin. These shales were discovered to be the containing most abundant gas reserves which is estimated to be about 1.9 trillion cubic feet of gas. It is alot of gas reserves but is spread at large geographical area. Marcellus formation is the lowest unit of the Devonian age Hamilton group and is divided into several sub units. As it is shale so is dominant by black shales but it also has limestone interbedded and lighter shales which are the result of sea level variations at the time of its deposition. Marcellus shales has production of gas which is in trillion cubic feet and many wells are drilled in this formation. These shales yields gas production which occurs not for a long time when its production is declined gradually but some wells sustained which produced for decades. How gas can be produced more from Marcellus shales? Marcellus shales as wells declines with time so new technology and techniques can help produce large amount of gas from Marcellus shales. A vertical well drilled in these shales will gradually decline the production so in order to a sustained well, Horizontal drilling and hydraulic fracturing technique should be used which in some new wells produced over a million cubic feet of gas per day. Within pore spaces of the shales. Within vertical fractures of the shales. Most recoverable gas is present in the pore spaces of the shales. Gas has difficulty in escaping the pores because of the tiny spaces and poorly interconnection of the pores. Therefore a vertical well in these shales would be expected to intersect few fractures within the shales therefore a horizontal drilling will intersect maximum number of fractures which in turn will produce maximum amount of gas from these shales. Hydraulic fracturing is another technique that can be used in Marcellus shales to enhance the production. 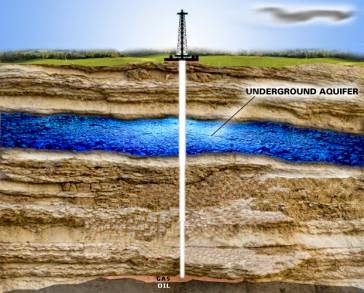 Hydraulic fracturing uses high pressure water or gel which is inserted in the formation and it fractures the formation. To remain the formation open after releasing the pressure of the water or gel, sands or other propant is induced into the formation which allows the fractures to remain open. Shale is a sedimentary rock composed of fine grained sediments mainly silt and clay particles ranges at size of 1/256 millimetre. Shale is in a category of mudstone but is different from other mudstone as the rock comprises laminae (thin beds) and is also fissile (breaks into particles). Shale is composed of clay size particles, it includes fine grains as illite, kaolinite and smectite. Other particles can also be in the shale which are finer grains of quartz, feldspar and chert. Shale also contains organic material which are marine plants and animals deposited at the sea floor. Other constituents can also be carbonate particles, iron oxide minerals, sulphide minerals and heavy minerals. These particles are the indicator of shale depositional environment. Shale properties have important uses, as it contain organic material that can produce oil and gas when cooked at proper depth with high pressure and temperature. Shale can also be used as constituent material for producing cement. Limestone and shale are crushed and heated together to a temperature greater enough to eliminate all water content and breaks limetone into calcium oxide and carbon dioxide. With mixture of shale and calcium oxide a powder is formed that harden when water is mixed in it. 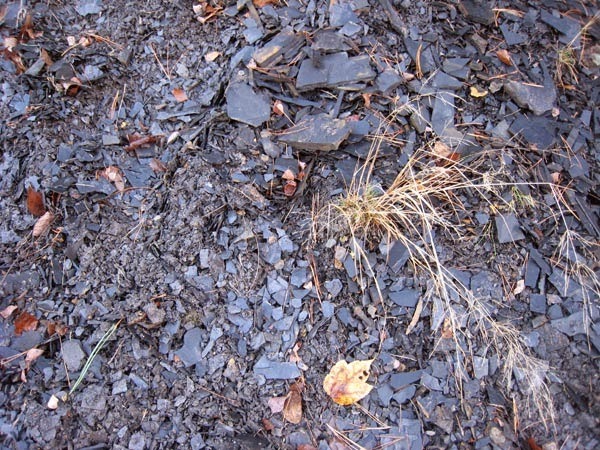 Other than this shale can also be used to produce clay by mixing fine grained shale with water. This clay is then used to produce brick which is the building block of any building. The colour black and grey in a sedimentary rock is the indicator, presence of organic material in the rock. The organic material present in the shale is deposited by the animal and plant debris at the ocean floor. This organic material is not decayed because of the oxygen deficient environment or otherwise all the organic matter would have decayed. The oxygen deficient environment also provide proper conditions for production of sulphide minerals as pyrite. This organic material with oxygen deficient environment produces oil and gas. For production of oil and gas proper burial depth and pressure, temperature is important. The colour as brown, red and yellow of a shale is the indicator of oxygen rich environment and presence of iron oxide or iron hydroxide such as hematite, goethite or limonite. Less amount of this can give the colour throughout the rock body. Hematite gives red colour and goethite or limonite presence give the colour of brown or yellow. Green colour of the shale are by the mica or other minerals present in the shale consist of greenish colour which turns the shale green. The term oil shale refers to sedimentary rocks of clay and silt size that contain bituminous material (Kerogens) which releases petroleum like liquid when heated in a process of pyrolysis. Oil shale production started million of years ago as that of the oil generations. 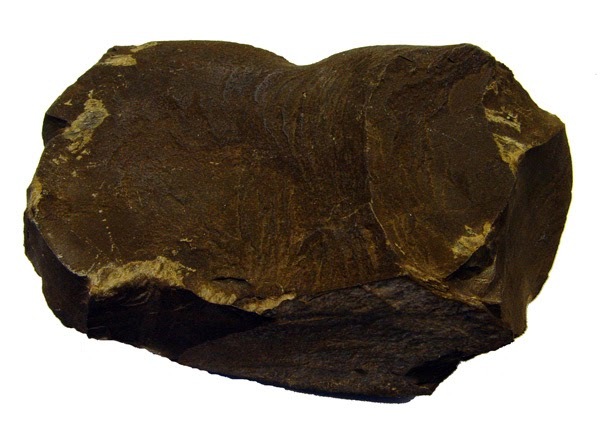 Oil shale generated by the deposition of organic debris at bottom of lake or sea but when buried the heat and pressure was not great enough to turn it into oil and gas source rock. These rock catch fire without adding any chemical because of its oil. Shale gas is referred to gas that is trapped in the shale and cannot escape shale (source rock) to the reservoir rock. Marcellus shale of the Marcellus formation have a lot of gas which can be recovered by unconventional method. Organic shales are the source rock for most oil and gas production. So these organic material is turned into petroleum when buried at great depths with high pressure and temperature. 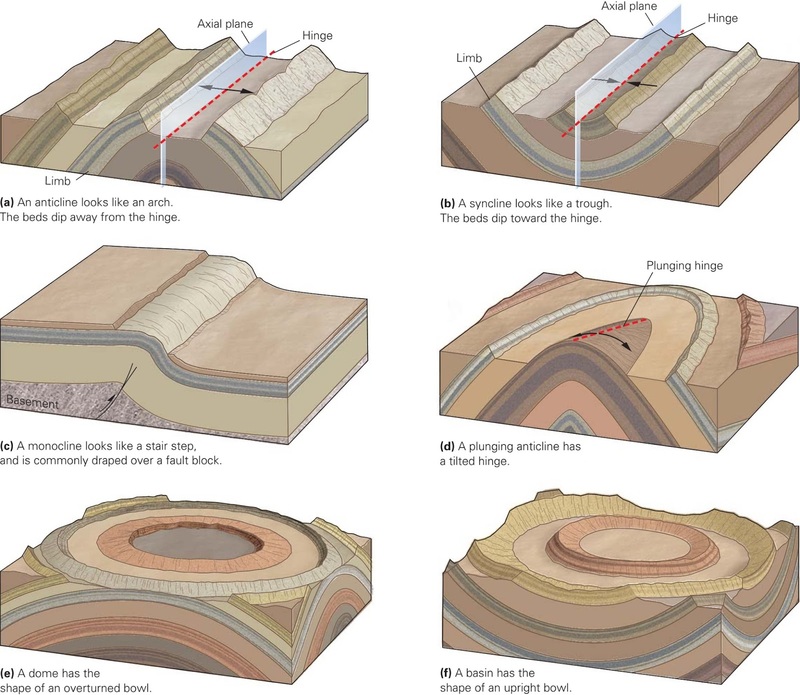 The petroleum then moves from source rock into reservoir rock by the squeezing of shales through overburden. These when migrated to reservoir rock moves to height due to its low density till the time when it is trapped at a certain blockage where petroleum cannot moves further. So for extraction of such oil and gas a well is drilled above the trap and oil is extracted. 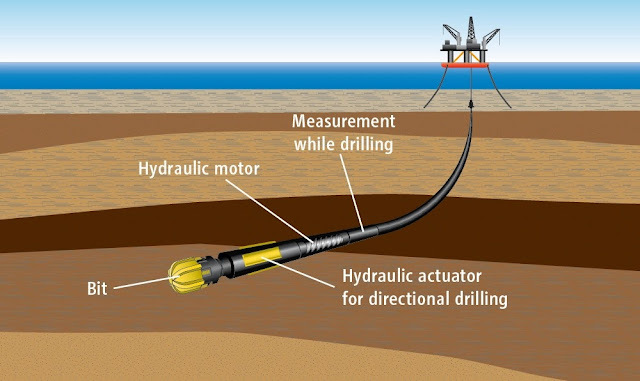 Unconventional oil and gas recovery is the technique used by extracting oil and gas from the tiny pores of shales which are not inter connected so therefore a directional drilling method is used where well is drilled horizontal into the source rock. The source rock is fractured by hydraulic fracturing and the recovery is made for the trapped oil and gas in the shales. Hydraulic properties are characteristics of a rock such as porosity and permeability which intends on the properties of holding and transmitting liquids through it. The shales are made up of tiny particles so its pore spaces will also be small. The small pores can trap water or oil and gas but their movement within the rock is difficult. As no movement of liquids can be allowed through shales but due to the small pores present, it can take large amount of liquids. Shales can serve as a seal rock but not as a reservoir. Clay minerals in some soils of shales have the tendency to absorb and release large amount of water. These soil swells when it absorbs water and shrinks on release. These derived soils must be check for the construction of building or road to reduce maintenance cost at later stages. Shales are often associated with landslides as weathering of shales turns them into clay material that when wet have low shear strength. On a hill side and wet shales, will creep or move rapidly along the slope. Scoria is a highly vesicular, dark coloured volcanic rock that may or may not contain crystals (phenocrysts). It is typically dark in colour (generally dark brown, black or purplish red), and basaltic or andesitic in composition. Scoria is relatively low in density as a result of its numerous macroscopic ellipsoidal vesicles, but in contrast to pumice, all scoria has a specific gravity greater than 1, and sinks in water. The holes or vesicles form when gases that were dissolved in the magma come out of solution as it erupts, creating bubbles in the molten rock, some of which are frozen in place as the rock cools and solidifies. Scoria may form as part of a lava flow, typically near its surface, or as fragmental ejecta (lapilli, blocks and bombs), for instance in Strombolian eruptions that form steep-sided scoria cones. 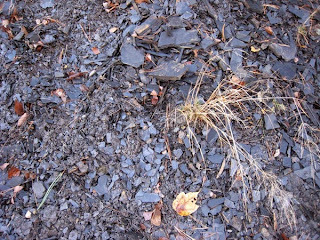 Most scoria is composed of glassy fragments, and may contain phenocrysts. 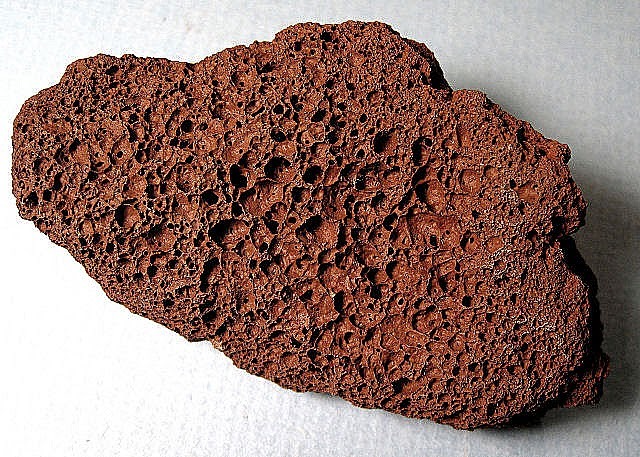 The word scoria comes from the Greek σκωρία, skōria, rust. An old name for scoria is cinder. Scoria is formed of the explosive from the volcano when it explodes, excessive gases and ash goes out of the volcano. 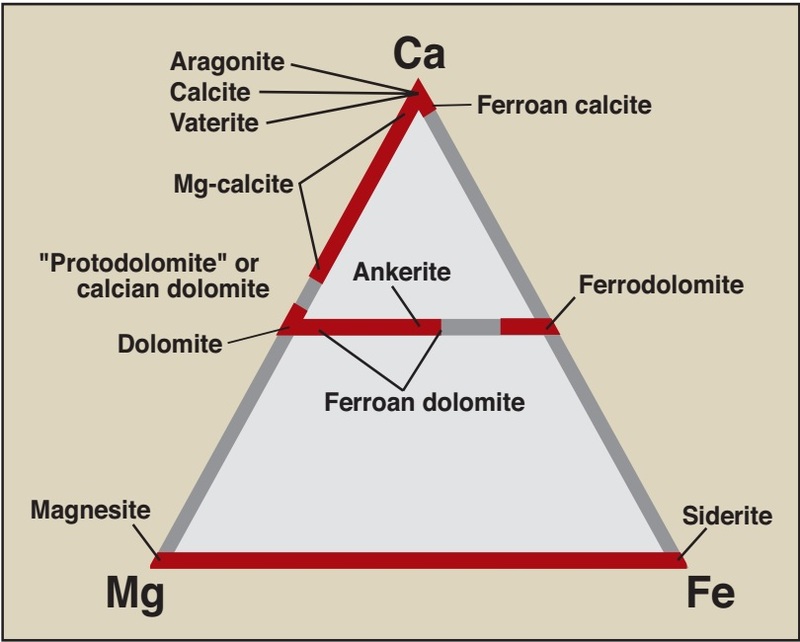 These gases are dissolved in the magma under pressure of the overburden. The magma from the explosion of the volcano goes into air where pressure is released and the magma solidifies as the temperature is dropped than that of the subsurface. As the magma solidifies, the gases in the melt are not released from the melt before it solidifies. These gases produces round or elongated pores. These pore are vesicles of the gases zones which are evident of the melt solidification rapidly else gases would not have been trapped. The scoria as formed from the explosion will be found near the mouth of the volcano and heavier rock would fall down the hill of the volcano. Cinder cone are the steep hills formed by the brief eruption of a volcano where scoria is deposited at the mouth and stack at on another. These have vertical relief with less than few thousand feet. These hill are often formed at intervals. More than just one volcano erupts near to another to form from few cinder cones to hundreds of individual cones that forms a cluster. Most of the scoria falls to the ground near the vent to build up a cone-shaped hill called a "cinder cone." Cinder cones are generally small volcanoes produced by brief eruptions with a total vertical relief of less than a few thousand feet. They are usually very steep because scoria has an angle of repose of 30 to 40 degrees. In some parts of the world, cinder cones occur in clusters of a few to hundreds of individual cones. These areas are called "volcano fields." An example is Maungarei in New Zealand, which like Te Tatua-a-Riukiuta in the south of the same city has been extensively quarried. Quincan, a unique form of Scoria, is quarried at Mount Quincan in Far North Queensland, Australia. When volcano erupts the melt has dissolved gases in it which due to release of pressure moves upward in the flow for its low weight. These gases attempt to escape the melt that's why it moves upward. As temperature and pressure is reduced the melt solidifies which in turn traps some of the gases. These gases produces vesicles in the rock body and the rock is called scoria or vesicular basalt. 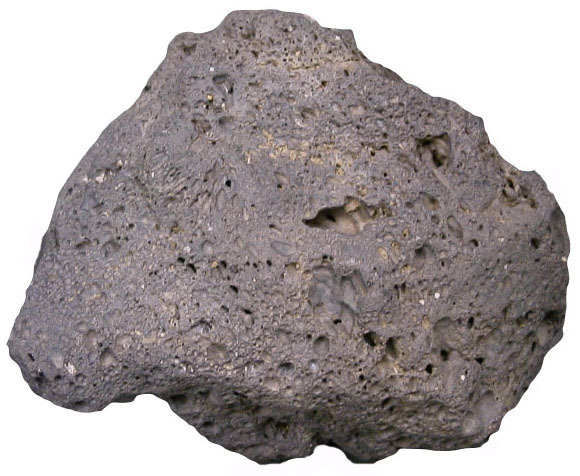 A vesicular igneous rock that is very similar to scoria is pumice. There are a few differences that can be used to distinguish them. First is their colour. Scoria is almost always black or dark gray to reddish brown, while pumice is almost always white to light gray to light tan. This colour difference is a result of their composition. Scoria forms from basaltic magma, while pumice forms from rhyolitic magmas which usually contain more gas. 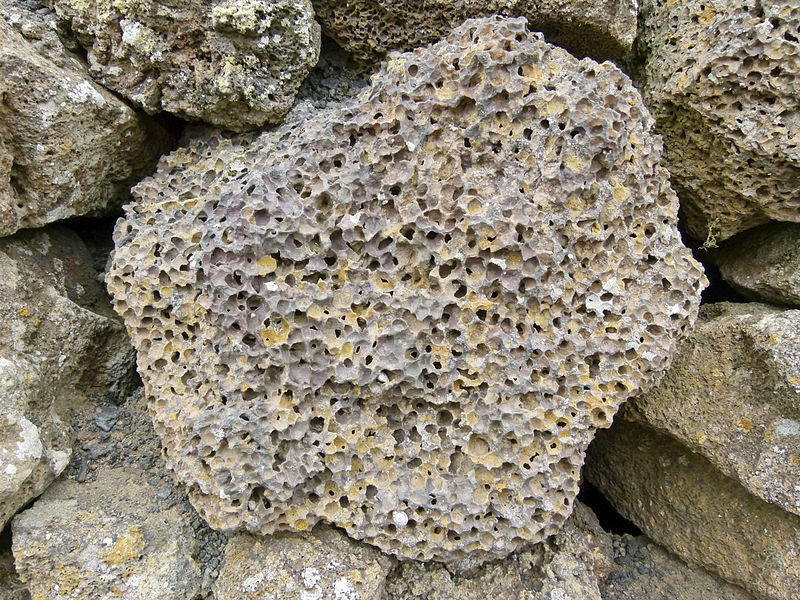 Pumice has a much higher concentration of trapped bubbles - so many that the walls between them are very thin. The vesicles in pumice contain enough air that the rock will float on water. The thick walls of scoria make it heavy enough to sink. Finally, when observed closely with a hand lens, you can often see tiny mineral crystals in scoria. However, close observation of pumice reveals a "glassy" texture similar to obsidian. Pumice consists mainly of glass materials rather than mineral crystals. A "glass" is a noncrystalline substance. In the case of pumice, it cooled so quickly that the atoms were unable to arrange themselves into ordered crystal structures. One of the main uses of scoria is in the production of lightweight aggregate. The scoria is crushed to desired sizes and sold for a variety of uses. Concrete made with scoria typically weighs about 100 pounds per cubic foot. This is a weight savings compared to concrete made with typical sand and gravel that weighs about 150 pounds per cubic foot. This savings in weight allows buildings to be constructed with less structural steel. The air trapped in the scoria makes the lightweight concrete a better insulator. Buildings constructed with this lightweight concrete can have lower heating and cooling costs. Crushed scoria is used as roofing granules, ground cover in landscape projects, and as a substrate in hydroponic gardening. Many dealers offer customers the option of choosing between black, brown, or red material. Scoria is also used as rip-rap, drainage stone, and low-quality road metal. 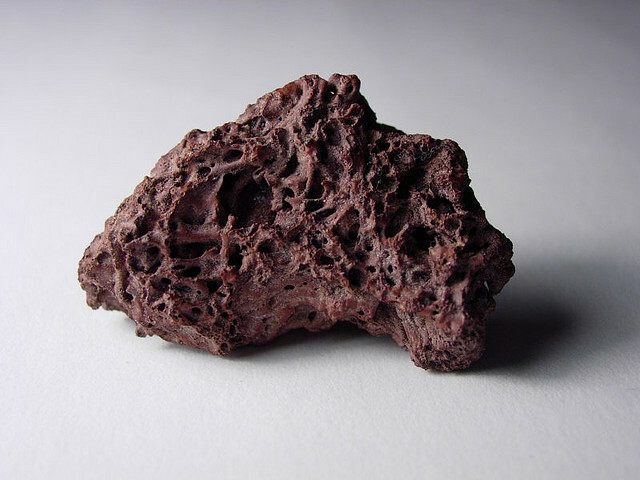 Small amounts of scoria are used as sauna rock and as a heat sink in barbecue grills. 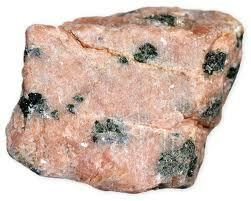 Rhyolite is an extrusive igneous rock with a very high silica content. It is usually pink or gray in colour with grains so small that they are difficult to observe without a hand lens. 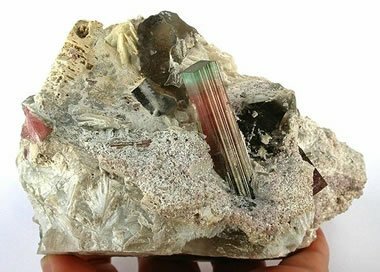 Rhyolite is made up of quartz, plagioclase, and sanidine, with minor amounts of hornblende and biotite. Trapped gases often produce vugs in the rock. These often contain crystals, opal, or glassy material. Many rhyolites form from granitic magma that has partially cooled in the subsurface. 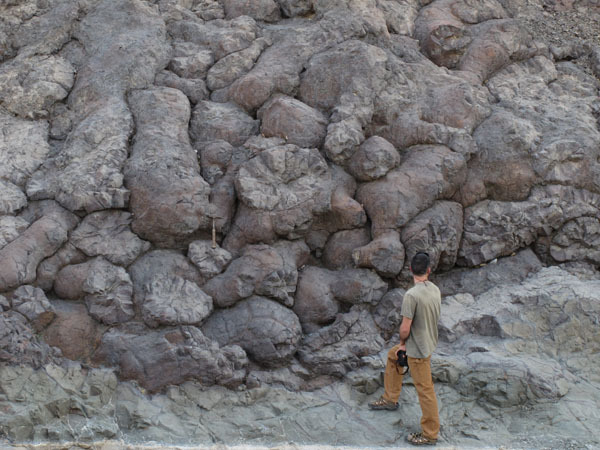 When these magmas erupt, a rock with two grain sizes can form. The large crystals that formed beneath the surface are called phenocrysts, and the small crystals formed at the surface are called groundmass. Rhyolite usually forms in continental or continent-margin volcanic eruptions where granitic magma reaches the surface. Rhyolite is rarely produced at oceanic eruptions. Rhyolite forms of the lava with high silica content so the lava is very viscous. If rhyolitic magma is rich in gases, it can erupt explosively which will solidify quickly forming pumice. Certain times extremely porous rhyolite lava flows occur and such flow allow degassing and subsequent collapse of lava which forms obsidian. 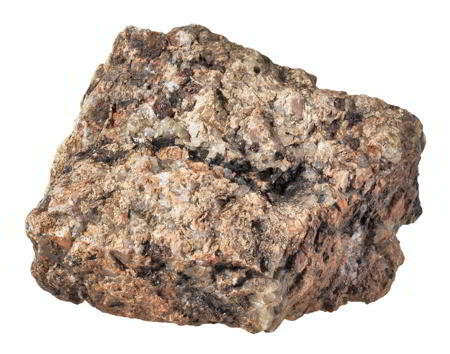 Rhyolite can be considered as the extrusive equivalent to the plutonic granite rock, and consequently, outcrops of rhyolite may bear a resemblance to granite. 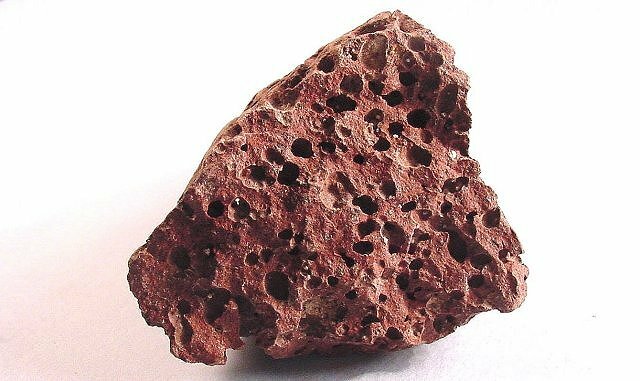 Due to their high content of silica and low iron and magnesium contents, rhyolite melts are highly polymerized and form highly viscous lava. They also occur as breccias or in volcanic plugs and dikes. Rhyolites that cool too quickly to grow crystals form a natural glass or vitrophyre, also called obsidian. Slower cooling forms microscopic crystals in the lava and results in textures such as flow foliations, spherulitic, nodular, and lithophysal structures. Some rhyolite is highly vesicular pumice. Many eruptions of rhyolite are highly explosive and the deposits may consist of fallout tephra/tuff or of ignimbrites. Eruptions of rhyolite are relatively rare compared to eruptions of less felsic lava. Only three eruptions of rhyolite have been recorded since the start of the 20th century: at the St. Andrew Strait volcano in Papua New Guinea, Novarupta volcano in Alaska, and Chaiten in southern Chile. Eruptions of granitic magma can produce rhyolite, pumice, obsidian, or tuff. These rocks have similar compositions but different cooling conditions. Explosive eruptions produce tuff or pumice. Effusive eruptions produce rhyolite or obsidian if the lava cools rapidly. These different rock types can all be found in the products of a single eruption. Eruptions of granitic magma are rare. Since 1900 only three are known to have occurred. These were at St. Andrew Strait Volcano in Papua New Guinea, Novarupta Volcano in Alaska, and Chaiten Volcano in Chile. Granitic magmas are rich in silica and often contain up to several percent gas by weight. As these magmas cool, the silica starts to connect into complex molecules. This gives the magma a high viscosity and causes it to move very sluggishly. The high gas content and high viscosity of these magmas are perfect for producing an explosive eruption. The viscosity can be so high that the gas can only escape by blasting the magma from the vent. Granitic magmas have produced some of the most explosive volcanic eruptions in Earth's history. 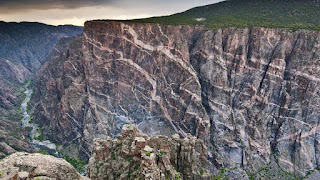 Examples include Yellowstone in Wyoming, Long Valley in California, and Valles in New Mexico. The sites of their eruption are often marked by large calderas. 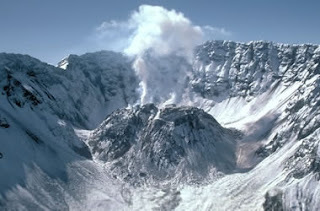 Photo of a lava dome in the caldera of Mount St. Helens. Activity at St. Helens slowly extrudes thick lavas that gradually build domes in the caldera. This dome is composed of dacite, a rock that is intermediate in composition between rhyolite and andesite. Sluggish rhyolitic lava can slowly exude from a volcano and pile up around the vent. This can produce a mound-shaped structure known as a "lava dome." Some lava domes have grown to a height of several hundred meters. Lava domes can be dangerous. As additional magma extrudes, the brittle dome can become highly fractured and unstable. The ground can also change slope as the volcano inflates and contracts. This activity can trigger a dome collapse. A dome collapse can lower the pressure on the extruding magma. This sudden lowering of pressure can result in an explosion. It can also result in a debris avalanche of material falling from the tall collapsing dome. Many pyroclastic flows and volcanic debris avalanches have been triggered by a lava dome collapse. Rhyolite has composition similar to that of granite but with much smaller grains. It is composed of light colour silicates. Generally composition is quartz and plagioclase with less amount of orthoclase, biotite, amphibole, pyroxene and glass. Many gem deposits are hosted in rhyolite. These occur for a logical reason. The thick granitic lava that forms rhyolite often cools quickly while pockets of gas are still trapped inside of the lava. As the lava quickly cools, the trapped gas is unable to escape and forms cavities known as "vugs." Later, when the lava flow has cooled and hydrothermal gases or ground water move through, material can precipitate in the vugs. This is how some of the world's best deposits of red beryl, topaz, agate, jasper, and opal are formed. Gem hunters have learned this and are always on the lookout for vuggy rhyolite. Pumice is a light coloured, extremely porous igneous rock that forms during explosive volcanic eruptions. It is used as aggregate in lightweight concrete, as landscaping aggregate, and as an abrasive in a variety of industrial and consumer products. Many specimens have a high enough porosity that they can float on water until they slowly become waterlogged. Pumice, called pumicite in its powdered or dust form, is a volcanic rock that consists of highly vesicular rough textured volcanic glass, which may or may not contain crystals. It is typically light coloured. Scoria is another vesicular volcanic rock that differs from pumice in having larger vesicles, thicker vesicle walls and being dark coloured and denser. Pumice is created when super-heated, highly pressurised rock is violently ejected from a volcano. The unusual foamy configuration of pumice happens because of simultaneous rapid cooling and rapid depressurisation. The depressurisation creates bubbles by lowering the solubility of gases (including water and CO2) that are dissolved in the lava, causing the gases to rapidly ex-solve (like the bubbles of CO2 that appear when a carbonated drink is opened). The simultaneous cooling and depressurisation freezes the bubbles in a matrix. Eruptions under water are rapidly cooled and the large volume of pumice created can be a shipping hazard for cargo ships. Pumice is composed of highly microvesicular glass pyroclastic with very thin, translucent bubble walls of extrusive igneous rock. 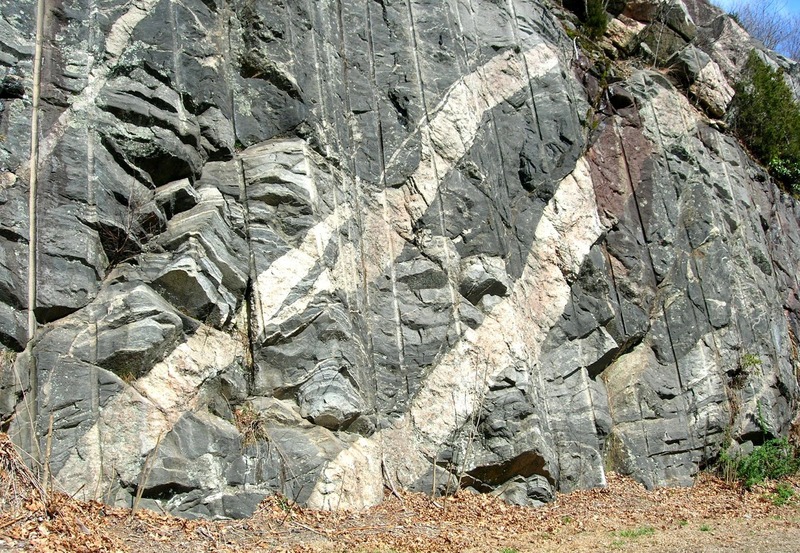 It is commonly, but not exclusively of silicic or felsic to intermediate in composition (e.g., rhyolitic, dacitic, andesite, pantellerite, phonolite, trachyte), but basaltic and other compositions are known. Pumice is commonly pale in colour, ranging from white, cream, blue or grey, to green-brown or black. It forms when volcanic gases ex-solving from viscous magma form bubbles that remain within the viscous magma as it cools to glass. Pumice is a common product of explosive eruptions (plinian and ignimbrite-forming) and commonly forms zones in upper parts of silicic lava. 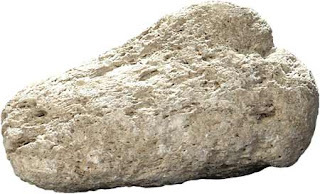 Pumice has an average porosity of 90%, and initially floats on water. 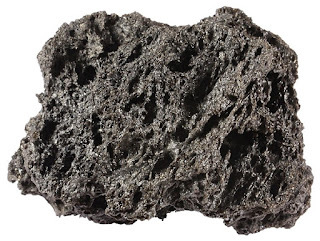 Scoria differs from pumice in being denser. With larger vesicles and thicker vesicle walls, it sinks rapidly. The difference is the result of the lower viscosity of the magma that forms scoria. When larger amounts of gas are present, the result is a finer-grained variety of pumice known as pumicite. 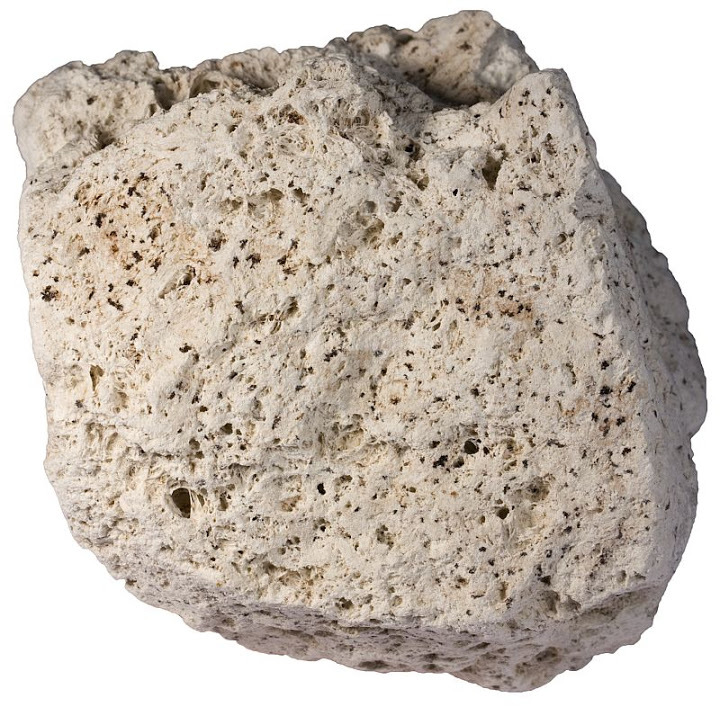 Pumice is considered a glass because it has no crystal structure. Pumice varies in density according to the thickness of the solid material between the bubbles; many samples float in water. After the explosion of Krakatoa, rafts of pumice drifted through the Pacific Ocean for up to 20 years, with tree trunks floating among them. In fact, pumice rafts disperse and support several marine species. In 1979, 1984 and 2006, underwater volcanic eruptions near Tonga created large pumice rafts, some as large as 30 kilometres (19 mi) that floated hundreds of kilometres to Fiji. There are two main forms of vesicles. Most pumice contains tubular microvesicles that can impart a silky or fibrous fabric. The elongation of the microvesicles occurs due to ductile elongation in the volcanic conduit or, in the case of pumiceous lava, during flow. The other form of vesicles are sub-spherical to spherical and result from high vapour pressure during eruption. The pore spaces (known as vesicles) in pumice are a clue to how it forms. The vesicles are actually gas bubbles that were trapped in the rock during the rapid cooling of a gas-rich frothy magma. The material cools so quickly that atoms in the melt are not able to arrange themselves into a crystalline structure. Thus, pumice is an amorphous volcanic glass known as a "mineraloid." Some magma contain several percent dissolved gas by weight while they are under pressure. Stop for a moment and think about that. Gas weighs very little at Earth's surface, but these magma under pressure can contain several percent gas by weight held in solution. This is similar to the large amount of dissolved carbon dioxide in a sealed bottle of carbonated beverage such as beer or soda. If you shake the container, then immediately open the bottle, the sudden release of pressure allows the gas to come out of solution, and the beverage erupts from the container in a frothy mess. A rising body of magma, supercharged with dissolved gas under pressure, behaves in a similar way. As the magma breaks through Earth's surface, the sudden pressure drop causes the gas to come out of solution. This is what produces the enormous rush of high-pressure gas from the vent. This rush of gas from the vent shreds the magma and blows it out as a molten froth. The froth rapidly solidifies as it flies through the air and falls back to Earth as pieces of pumice. The largest volcanic eruptions can eject many cubic kilometres of material. This material can range in size from tiny dust particles to large blocks of pumice the size of a house. Large eruptions can blanket the landscape around the volcano with over 100 meters of pumice and launch dust and ash high into the atmosphere. The sections below give quotations from United States Geological Survey reports describing the production of pumice at two major eruptions. 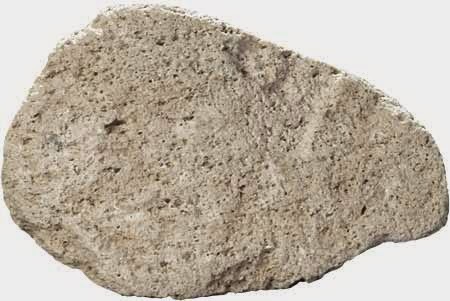 Pumice is often formed from the rhyolitic lava which is usually light coloured and are rarely formed from the erupted basaltic or andesitic composition. The pumice is made from the gas escapes of the volcanic eruption. This makes abundant vesicles of the pumice to float on water surface. 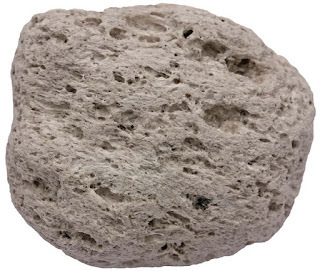 The pumice have thin walls which makes it light weight and the specific gravity of pumice is less than one that gives it the ability to float on water surface. When abundant pumice is deposited by the lava flow, sometimes large amount enough that makes an island which can float for a some years till the time when island is water saturated and it sinks to bottom. The second most powerful volcanic eruption of the 20th century was at Mount Pinatubo in 1991. The description below explains how enormous volumes of dissolved gas powered the eruption and how a cubic mile of ash and pumice lapilli was blasted from the volcano. The cataclysmic eruption of Mount Mazama 7,700 years ago started from a single vent on the northeast side of the volcano as a towering column of pumice and ash that reached some 30 miles high. Winds carried the ash across much of the Pacific Northwest and parts of southern Canada. So much magma erupted that the volcano began to collapse in on itself. 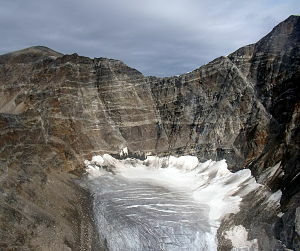 As the summit collapsed, circular cracks opened up around the peak. More magma erupted through these cracks to race down the slopes as pyroclastic flows. Deposits from these flows partially filled the valleys around Mount Mazama with up to 300 feet of pumice and ash. As more magma was erupted, the collapse progressed until the dust settled to reveal a volcanic depression, called a caldera, 5 miles in diameter and one mile deep. Owing to its high demand particularly for water filtration, chemical spill containment, cement manufacturing, horticulture and increasingly for the pet industry, the mining of pumice in environmentally sensitive areas has been under more scrutiny after such an operation was stopped in the U.S. state of Oregon, at Rock Mesa in the southern part of the Three Sisters Wilderness. The other use of pumice is as a decorative in landscaping and is used as drainage rock and soil in planting. Obsidian is a naturally occurring volcanic glass formed as an extrusive igneous rock. It is produced when felsic lava extruded from a volcano cools rapidly with minimal crystal growth. Obsidian is commonly found within the margins of rhyolitic lava flows known as obsidian flows, where the chemical composition (high silica content) induces a high viscosity and polymerisation degree of the lava. The inhibition of atomic diffusion through this highly viscous and polymerised lava explains the lack of crystal growth. 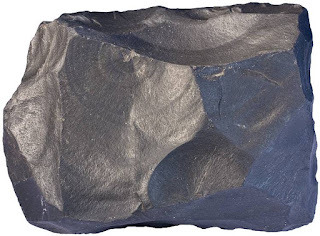 Obsidian is hard and brittle; it therefore fractures with very sharp edges, which were used in the past in cutting and piercing tools, and it has been used experimentally as surgical scalpel blades. Obsidian is the rock formed as a result of quickly cooled lava, which is the parent material. Tektites were once thought by many to be obsidian produced by lunar volcanic eruptions, though few scientists now adhere to this hypothesis. 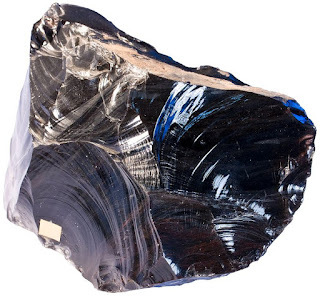 Obsidian is mineral-like, but not a true mineral because as a glass it is not crystalline; in addition, its composition is too complex to comprise a single mineral. It is sometimes classified as a mineraloid. Though obsidian is usually dark in colour similar to mafic rocks such as basalt, obsidian's composition is extremely felsic. Obsidian consists mainly of SiO2 (silicon dioxide), usually 70% or more. Crystalline rocks with obsidian's composition include granite and rhyolite. Because obsidian is metastable at the Earth's surface (over time the glass becomes fine-grained mineral crystals), no obsidian has been found that is older than Cretaceous age. This breakdown of obsidian is accelerated by the presence of water. Having a low water content when newly formed, typically less than 1% water by weight, obsidian becomes progressively hydrated when exposed to groundwater, forming perlite. Pure obsidian is usually dark in appearance, though the colour varies depending on the presence of impurities. Iron and other transition elements may give the obsidian a dark brown to black colour. Very few samples are nearly colourless. In some stones, the inclusion of small, white, radially clustered crystals of cristobalite in the black glass produce a blotchy or snowflake pattern (snowflake obsidian). Obsidian may contain patterns of gas bubbles remaining from the lava flow, aligned along layers created as the molten rock was flowing before being cooled. These bubbles can produce interesting effects such as a golden sheen (sheen obsidian). An iridescent, rainbow-like sheen (rainbow obsidian) is caused by inclusions of magnetite nanoparticles. Obsidian mainly forms of black colour however this colour is not the only one but is the most common colour. It can also be of different colours like brown, tan or green. 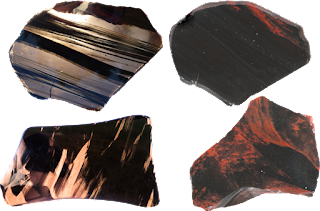 Rare colours of obsidian can also be blue, red, orange or yellow. The colour of obsidian is thought to be from the trace elements. Two colours can also be found at a single obsidian where black and brown are the most common to occur being associated at a single rock body. 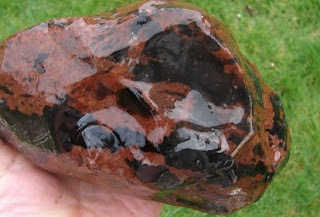 Rarely obsidian can be of iridescent where are called as rainbow obsidian, golden obsidian or silver obsidian. Obsidian can be found in locations which have experienced rhyolitic eruptions. It can be found in Argentina, Armenia, Azerbaijan, Australia, Canada, Chile, Georgia, Greece, El Salvador, Guatemala, Iceland, Italy, Japan, Kenya, Mexico, New Zealand, Papua New Guinea, Peru, Scotland, Turkey and the United States. Obsidian flows which may be hiked on are found within the calderas of Newberry Volcano and Medicine Lake Volcano in the Cascade Range of western North America, and at Inyo Craters east of the Sierra Nevada in California. Yellowstone National Park has a mountainside containing obsidian located between Mammoth Hot Springs and the Norris Geyser Basin, and deposits can be found in many other western U.S. states including Arizona, Colorado, New Mexico, Texas, Utah, Washington, Oregon and Idaho. 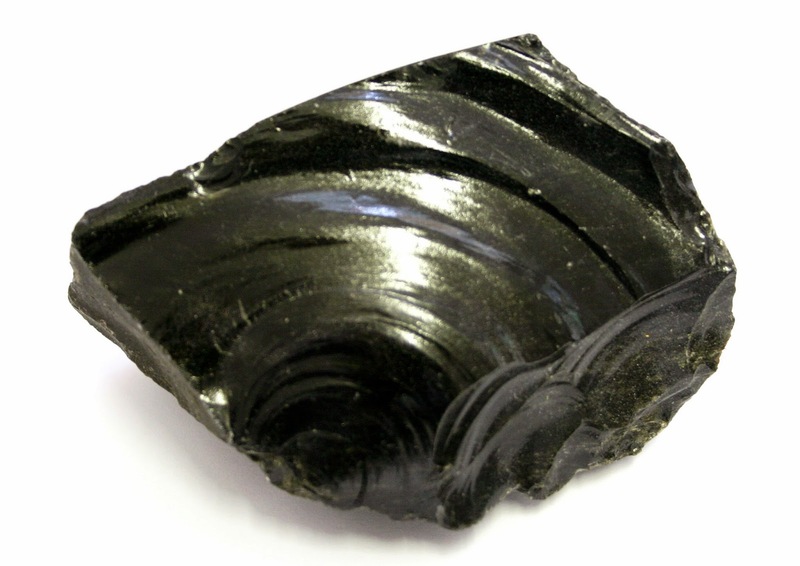 Obsidian can also be found in the eastern U.S. states of Virginia, as well as Pennsylvania and North Carolina. There are only four major deposit areas in the central Mediterranean: Lipari, Pantelleria, Palmarola and Monte Arci. Ancient sources in the Aegean were Melos and Giali. Acigöl town and the Göllü Dağ volcano were the most important sources in central Anatolia, one of the more important source areas in the prehistoric Near East. Obsidian is a glass where lava flow solidifies rapidly forming no crystalline structure but it is also not stable at this form and with time begins forming crystals not at the whole rock body but at different parts of the obsidian. It is not at a regular time interval so great time is required to get obsidian crystalline form. The first known archaeological evidence of usage was in Kariandusi and other sites of the Acheulian age (beginning 1.5 million years BP) dated 700,000 BC, although the number of objects found at these sites were very low relative to the Neolithic. Use of obsidian in pottery of the Neolithic in the area around Lipari was found to be significantly less at a distance representing two weeks journeying. Anatolian sources of obsidian are known to have been the material used in the Levant and modern-day Iraqi Kurdistan from a time beginning sometime about 12,500 BC. The first attested civilised use is from excavations at Tell Brak dated the late fifth millennia. 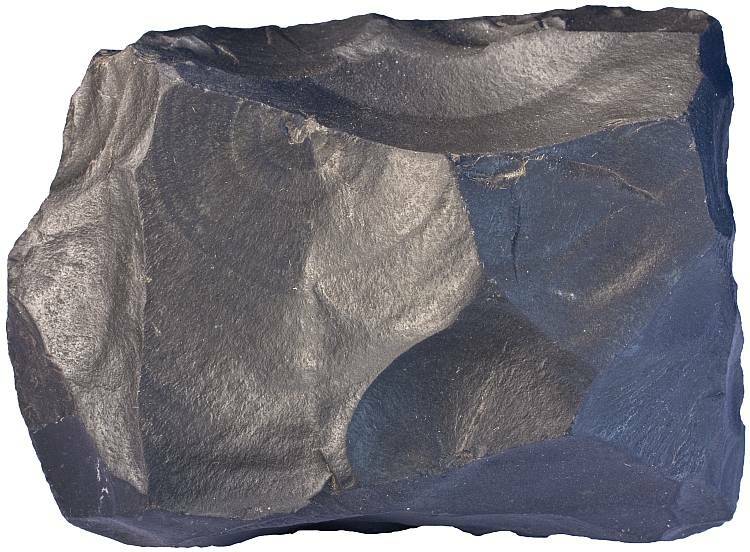 Obsidian was valued in Stone Age cultures because, like flint, it could be fractured to produce sharp blades or arrowheads. Like all glass and some other types of naturally occurring rocks, obsidian breaks with a characteristic conchoidal fracture. It was also polished to create early mirrors. Modern archaeologists have developed a relative dating system, obsidian hydration dating, to calculate the age of obsidian artefacts. Obsidian is used as a cutting tool because of its conchoidal fracturing where it breaks into thin sheets and have sharp edges. In stone age obsidian was used as a cutting tool for making any sharp tool and it is still used as a cutting tool in modern surgeries. It is also used as a jewellery by making beads of obsidian. Once these discoveries were made, obsidian quickly became the raw material of preference for producing almost any sharp object. The easy-to-recognise rock became one of the first targets of organised "mining." It is probably a safe bet that all natural obsidian outcrops that are known today were discovered and utilised by ancient people. The use of obsidian in jewellery can be limited by its durability. It has a hardness of about 5.5 which makes it easy to scratch. It also lacks toughness and is easily broken or chipped upon impact. These durability concerns make obsidian an inappropriate stone for rings and bracelets. It is best suited for use in low-impact pieces such as earrings, brooches, and pendants. Obsidian is also used in making opal doublets and opal triplets. Thin slices or chips of opal are glued to a thin slice of obsidian to make a composite stone. The black obsidian provides an inexpensive and colour-contrasting background that makes opal's colourful fire much more obvious. It also adds mass and stability to the opal that facilitates cutting it into a gem. Basalt is a fine grained volcanic igneous rock formed of plagioclase and pyroxene minerals. It is most commonly formed by lava flow and in sills and dykes. Basalt is similar to gabbro in composition but the difference lies in the grain size of the two rocks. Basalt is the most abundant bedrock forms much of the oceanic crust but in continental crust basalt can be in lava flows and flood basalt. Mineral composition of basalt consists of pyroxene, plagioclase and olivine with minor content of glass in ground mass and in porphyritic the phenocrysts will be any of olivine, pyroxene or plagioclase. By definition, basalt is an aphanitic (fine-grained) igneous rock with generally 45-55% silica (SiO2) and less than 10% feldspathoid by volume, and where at least 65% of the rock is feldspar in the form of plagioclase. It is the most common volcanic rock type on Earth, being a key component of oceanic crust as well as the principal volcanic rock in many mid-oceanic islands, including Iceland, Réunion and the islands of Hawaii. Basalt commonly features a very fine-grained or glassy matrix interspersed with visible mineral grains. The average density is 3.0 gm/cm3. Basalt is defined by its mineral content and texture, and physical descriptions without mineralogical context may be unreliable in some circumstances. Basalt is usually grey to black in colour, but rapidly weathers to brown or rust-red due to oxidation of its mafic (iron-rich) minerals into hematite and other iron oxides and hydroxides. Although usually characterised as "dark", basaltic rocks exhibit a wide range of shading due to regional geochemical processes. Due to weathering or high concentrations of plagioclase, some basalt can be quite light-coloured, superficially resembling andesite to untrained eyes. Basalt has a fine-grained mineral texture due to the molten rock cooling too quickly for large mineral crystals to grow; it is often porphyritic, containing larger crystals (phenocrysts) formed prior to the extrusion that brought the magma to the surface, embedded in a finer-grained matrix. These phenocrysts usually are of olivine or a calcium-rich plagioclase, which have the highest melting temperatures of the typical minerals that can crystallise from the melt. 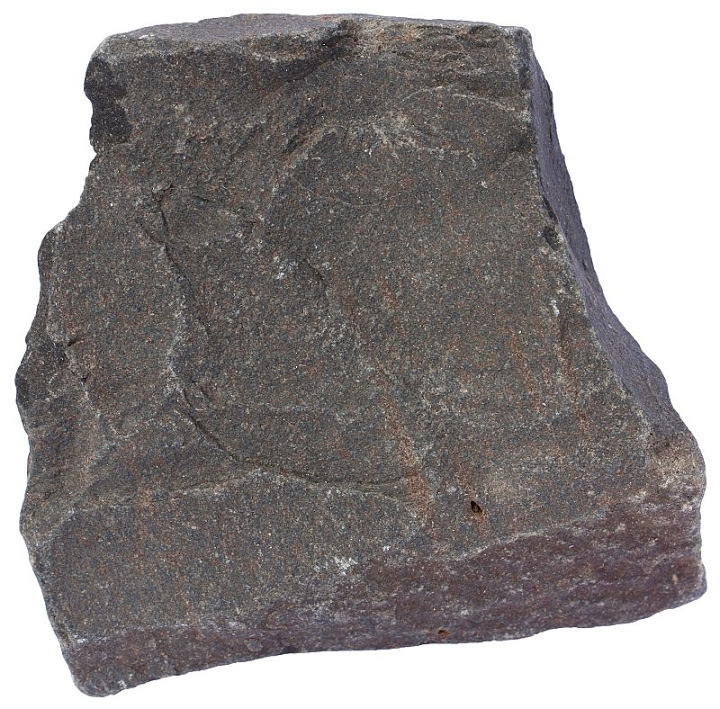 Basalt with a vesicular texture is called vesicular basalt, when the bulk of the rock is mostly solid; when the vesicles are over 1/2 the volume of a specimen, it is called scoria. This texture forms when dissolved gases come out of solution and form bubbles as the magma decompresses as it reaches the surface, yet are trapped as the erupted lava hardens before the gases can escape. In the Hadean, Archean, and early Proterozoic eras of Earth's history, the chemistry of erupted magmas was significantly different from today's, due to immature crustal and asthenosphere differentiation. These ultra-mafic volcanic rocks, with silica (SiO2) contents below 45% are usually classified as komatiites. 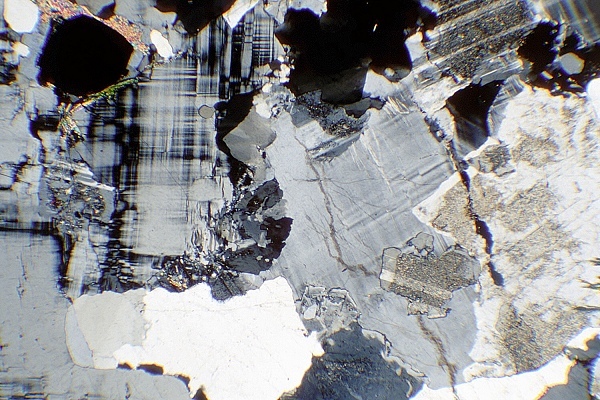 High-alumina basalt may be silica-undersaturated or -oversaturated (see normative mineralogy). 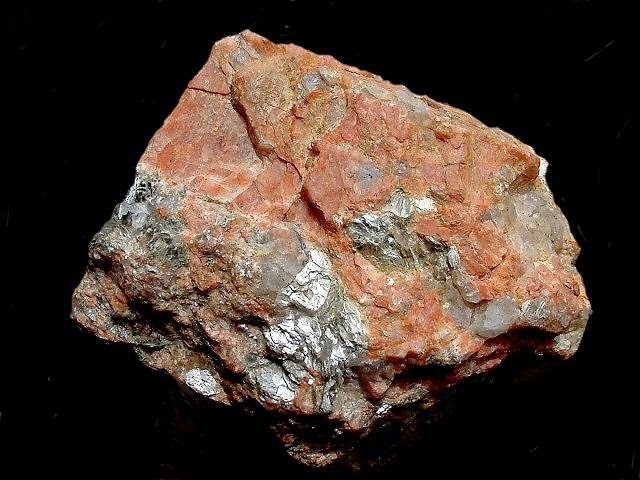 It has greater than 17% alumina (Al2O3) and is intermediate in composition between tholeiite and alkali basalt; the relatively alumina-rich composition is based on rocks without phenocrysts of plagioclase. Most of Earth's basalt is produced at divergent plate boundaries on the mid-ocean ridge system. Here convection currents deliver hot rock from deep in the mantle. This hot rock melts as the divergent boundary pulls apart, and the molten rock erupts onto the sea floor. 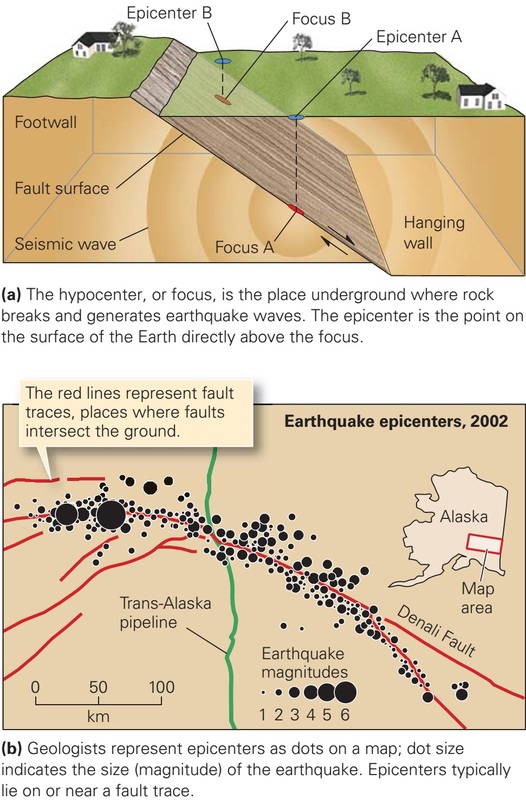 These submarine fissure eruptions often produce pillow basalt as shown in the image on this page. The active mid-ocean ridges host repeated fissure eruptions. Most of this activity is unnoticed because these boundaries are under great depths of water. At these deep locations, any steam, ash, or gas produced is absorbed by the water column and does not reach the surface. Earthquake activity is the only signal to humans that many of these deep ocean ridge eruptions provide. However, Iceland is a location where a mid-ocean ridge has been lifted above sea level. There, people can directly observe this volcanic activity. Another location where significant amounts of basalt are produced is above oceanic hotspots. These are locations where a small plume of hot rock rises up through the mantle from a hotspot on Earth's core. The Hawaiian Islands are an example of where basaltic volcanoes have been built above an oceanic hotspot. 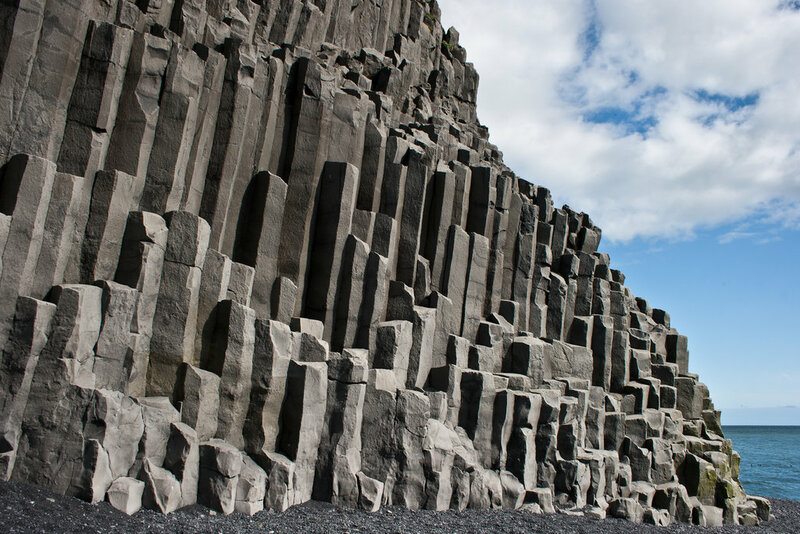 Basalt production at these locations begins with an eruption on the ocean floor. If the hotspot is sustained, repeated eruptions can build the volcanic cone larger and larger until it becomes high enough to become an island. All of the islands in the Hawaiian Island chain were built up from basalt eruptions on the sea floor. The island that we know today as "Hawaii" is thought to be between 300,000 and 600,000 years old. It began as an eruption on the floor of the Pacific Ocean. The volcanic cone grew as recurrent eruptions built up layer after layer of basalt flows. About 100,000 years ago it is thought to have grown tall enough to emerge from the ocean as an island. Today it consists of five overlapping volcanoes. Kilauea is the most active of these volcanoes. It has been in almost continuous eruption since January, 1983. Basalt flows from Kilauea have extruded over one cubic mile of lava, which currently covers about 48 square miles of land. These flows have travelled over seven miles to reach the ocean, covering highways, homes and entire subdivisions that were in their path. The third basalt-forming environment is a continental environment where a mantle plume or hotspot delivers enormous amounts of basaltic lava through the continental crust and up to Earth's surface. These eruptions can be from either vents or fissures. 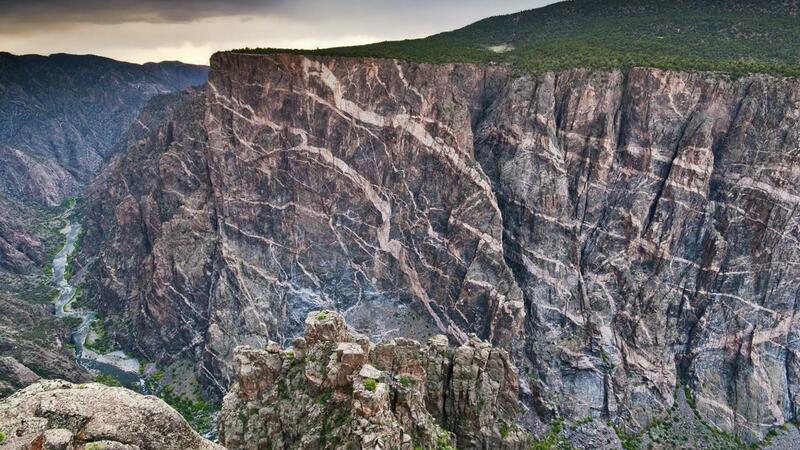 They have produced the largest basalt flows on the continents. The eruptions can occur repeatedly over millions of years, producing layer after layer of basalt stacked in a vertical sequence. The Columbia River Flood Basalt in Washington, Oregon, and Idaho are an example of extensive flood basalt on land (see map below). Other examples include the Emeishan Traps of China, the Deccan Traps of India, the Keweenawan Lavas of the Lake Superior region, the Etendeka Basalts of Namibia, the Karroo Basalt of South Africa, and the Siberian Traps of Russia. (The word "traps" is derived from the Swedish word for "stairs," which describes the outcrop profile of these layered basalt deposits. The mineralogy of basalt is characterised by a preponderance of calcic plagioclase feldspar and pyroxene. Olivine can also be a significant constituent. Accessory minerals present in relatively minor amounts include iron oxides and iron-titanium oxides, such as magnetite, ulvospinel, and ilmenite. 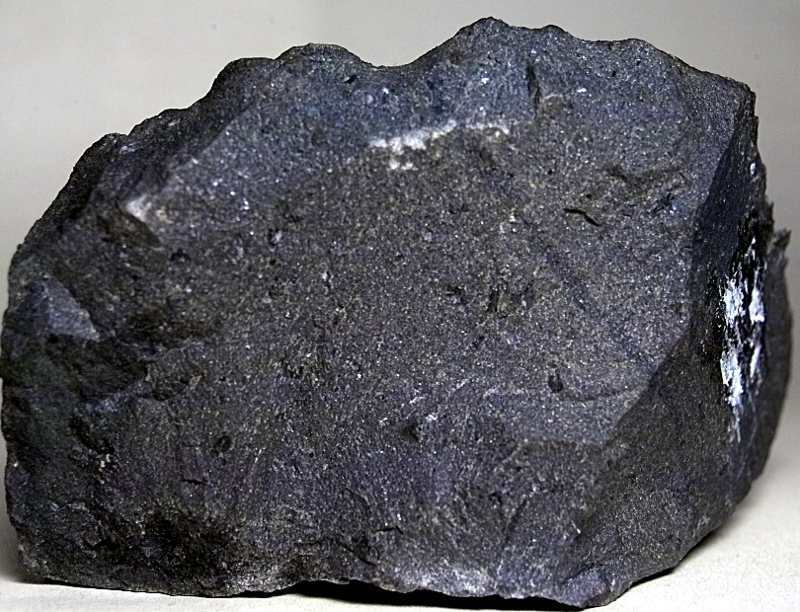 Because of the presence of such oxide minerals, basalt can acquire strong magnetic signatures as it cools, and paleomagnetic studies have made extensive use of basalt. In tholeiitic basalt, pyroxene (augite and orthopyroxene or pigeonite) and calcium-rich plagioclase are common phenocryst minerals. Olivine may also be a phenocryst, and when present, may have rims of pigeonite. The groundmass contains interstitial quartz or tridymite or cristobalite. Olivine tholeiite has augite and orthopyroxene or pigeonite with abundant olivine, but olivine may have rims of pyroxene and is unlikely to be present in the groundmass. Ocean floor basalt, erupted originally at mid-ocean ridges, are known as MORB (mid-ocean ridge basalt) and are characteristically low in incompatible elements. Alkali basalt typically have mineral assemblages that lack orthopyroxene but contain olivine. Feldspar phenocrysts typically are labradorite to andesine in composition. Augite is rich in titanium compared to augite in tholeiitic basalt. Minerals such as alkali feldspar, leucite, nepheline, sodalite, phlogopite mica, and apatite may be present in the groundmass. Basalt has high liquidus and solidus temperatures values at the Earth's surface are near or above 1200 °C (liquidus) and near or below 1000 °C (solidus); these values are higher than those of other common igneous rocks. The majority of tholeiites are formed at approximately 50-100 km depth within the mantle. Many alkali basalt may be formed at greater depths, perhaps as deep as 150-200 km. The origin of high-alumina basalt continues to be controversial, with disagreement over whether it is a primary melt or derived from other basalt types by fraction. The shape, structure and texture of a basalt is diagnostic of how and where it erupted whether into the sea, in an explosive cinder eruption or as creeping pahoehoe lava flows, the classic image of Hawaiian basalt eruptions. Basalt in the tops of subaerial lava flows and cinder cones will often be highly vesiculate, imparting a lightweight "frothy" texture to the rock. Basaltic cinders are often red, coloured by oxidised iron from weathered iron-rich minerals such as pyroxene. ʻAʻ types of blocky, cinder and breccia flows of thick, viscous basaltic lava are common in Hawaii. 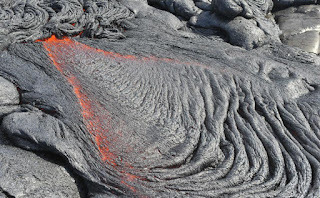 Pāhoehoe is a highly fluid, hot form of basalt which tends to form thin aprons of molten lava which fill up hollows and sometimes forms lava lakes. Lava tubes are common features of pahoehoe eruptions. Basaltic tuff or pyroclastic rocks are rare but not unknown. Usually basalt is too hot and fluid to build up sufficient pressure to form explosive lava eruptions but occasionally this will happen by trapping of the lava within the volcanic throat and buildup of volcanic gases. Hawaii's Mauna Loa volcano erupted in this way in the 19th century, as did Mount Tarawera, New Zealand in its violent 1886 eruption. Maar volcanoes are typical of small basalt tuffs, formed by explosive eruption of basalt through the crust, forming an apron of mixed basalt and wall rock breccia and a fan of basalt tuff further out from the volcano. Amygdaloidal structure is common in relict vesicles and beautifully crystallised species of zeolites, quartz or calcite are frequently found. During the cooling of a thick lava flow, contraction joints or fractures form. If a flow cools relatively rapidly, significant contraction forces build up. While a flow can shrink in the vertical dimension without fracturing, it can't easily accommodate shrinking in the horizontal direction unless cracks form; the extensive fracture network that develops results in the formation of columns. These structures are predominantly hexagonal in cross-section, but polygons with three to twelve or more sides can be observed. The size of the columns depends loosely on the rate of cooling; very rapid cooling may result in very small (<1 cm diameter) columns, while slow cooling is more likely to produce large columns. When pahoehoe lava enters the sea it usually forms pillow basalt. 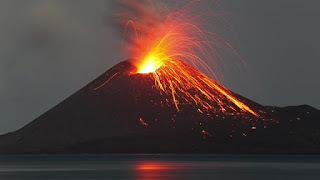 However, when a'a enters the ocean it forms a littoral cone, a small cone-shaped accumulation of tuffaceous debris formed when the blocky a'a lava enters the water and explodes from built-up steam. The island of Surtsey in the Atlantic Ocean is a basalt volcano which breached the ocean surface in 1963. The initial phase of Surtsey's eruption was highly explosive, as the magma was quite wet, causing the rock to be blown apart by the boiling steam to form a tuff and cinder cone. This has subsequently moved to a typical pahoehoe-type behaviour. Basaltic rock are used as a crushed material for construction purposes as an aggregate and it can also be used as dimension stone. Crushed basalt is used for road base, concrete aggregate, asphalt pavement aggregate, railroad ballast, filter stone in drain fields, and may other purposes. Basalt is also cut into dimension stone. Thin slabs of basalt are cut and sometimes polished for use as floor tiles, building veneer, monuments, and other stone objects. Pegmatite are intrusive rocks with extreme coarse grained texture that are developed at the final stages of magma crystallization. As huge amount of time has been granted to pegmatite rocks so it has extremely large crystals and sometimes rare minerals are associated with it which are not found in other rocks. Pegmatite contains crystals that are atleast one centimetre long in diameter. 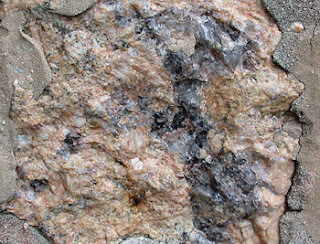 Pegmatite have composition similar to that of granite with abundant quartz, feldspar and mica. These are sometimes also called as granite pegmatites. Pegmatites sometimes serve as source rock for valuable minerals such as spodumene and beryl which are rarely economical in other type of rocks. Gemstones are also associated such as topaz, tourmaline and aquamarine. Large crystal growth in pegmatites are not attributed to slow rate of crystallisation but indeed the low-viscosity fluids are the reason. In the early stages of magma crystallisation, the melt contains the water dissolved with other volatile like chlorine, fluorine and carbon dioxide. The water in the early crystallisation is remained in the melt as crystal start to form, water then separates and escapes the melt. The pockets of water are super heated that contains huge amount of dissolved ions. This water moves freely and are more mobile than that of the melt which when crystallises produce large crystal which are the pegmatites. It is however impossible to quantify the mineralogy of pegmatite in simple terms because of their varied mineralogy and difficulty in estimating the modal abundance of mineral species which are of only a trace amount. 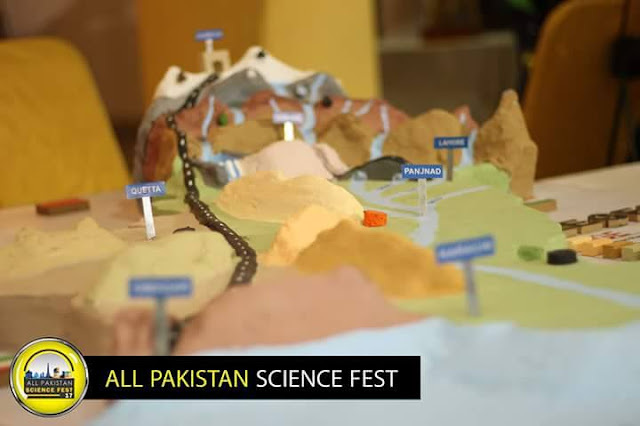 This is because of the difficulty in counting and sampling mineral grains in a rock which may have crystals from centimetres to meters across. Pegmatite sample representative is difficult due to the large size of the constituent mineral crystals. Often, bulk samples of some 50-60 kg of rock must be crushed to obtain a meaningful and repeatable result. Hence, pegmatite is often characterised by sampling the individual minerals which comprise the pegmatite, and comparisons are made according to mineral chemistry. As the crystallisation occurs, the ions that have no role in common rock formation are dissolved in the water which separate from the melt and when these ions crystallises produces rare Earth minerals such as lithium, beryllium in small ions and large ions have tantalum, columbium and niobium forming minerals tantalite, columbite and niobite. 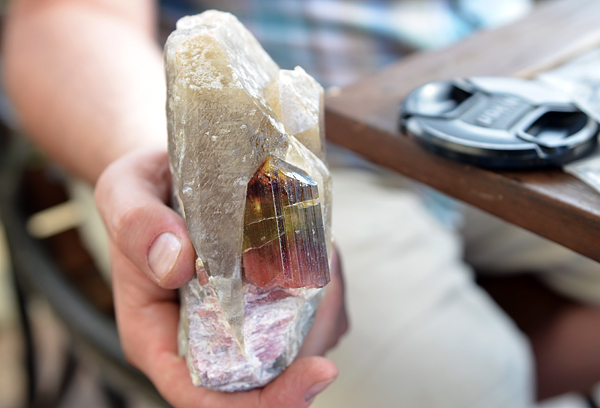 Multicoloured tourmaline crystal in the Himalaya pegmatite. Pegmatite uses are the country rock used for architectural purposes as slabs, dimension stones etc. Other are to be mined for rare minerals and gemstones such as aquamarine, topaz and tourmaline that are associated with pegmatite and are not formed with other rocks. 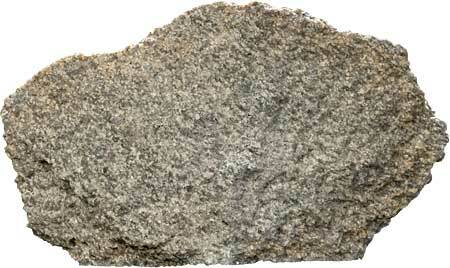 Granite is an intrusive igneous coarse grained rock. 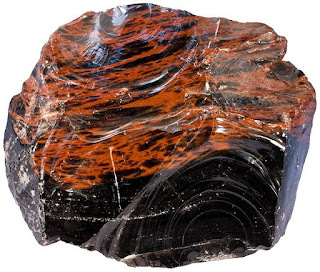 Granite is formed from the very slow cooling of the magma which provided sufficient time for the crystal to grow, large enough to be seen with an unaided eye. Granite consists of mainly quartz and feldspar with minor amount of mica, amphibole and other minerals. 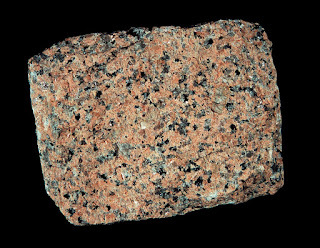 This mineral composition results in granite colours of red, pink, white and grey with dark minerals visible. Granite is the most common igneous rock occurring on the Earth's surface so is readily distinguishable of the other igneous rocks. 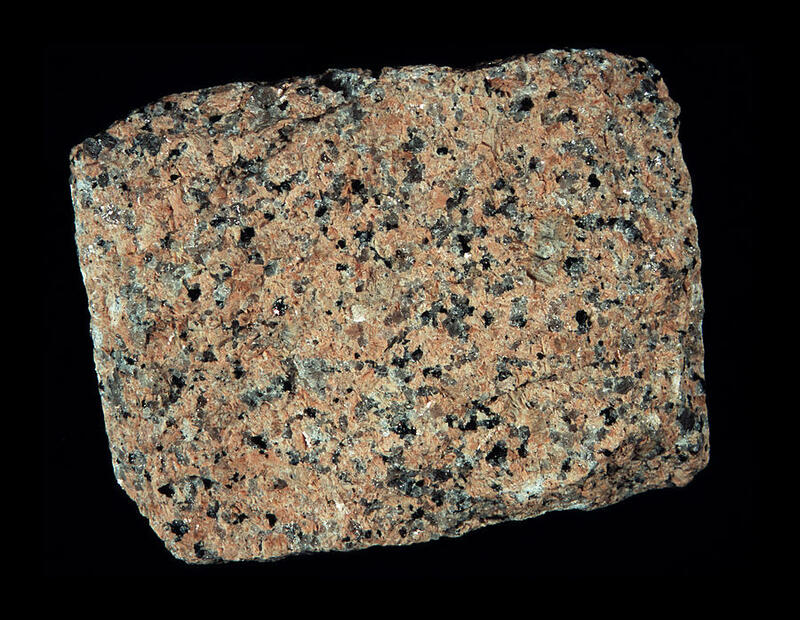 Granite is also used in different forms which can be seen in a daily life things. Granite in a geology course is used for igneous rock that is light in colour and composed mainly of feldspar and quartz. 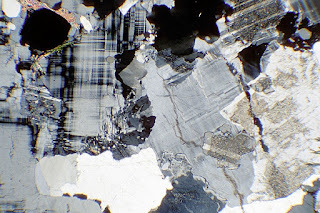 In petrography it is used for a rock in which quartz is 10 to 50 percent of felsic component and alkali feldspar account for 65 to 90 percent of total feldspar content. Stone is ordered by the QAPF diagram for coarse grained plutonic shakes and is named by the rate of quartz, salt feldspar (orthoclase, sanidine, or microcline) and plagioclase feldspar on the A-Q-P half of the graph. Genuine rock as indicated by current petrologic tradition contains both plagioclase and salt feldspars. At the point when a granitoid is empty or about without plagioclase, the stone is alluded to as soluble base feldspar rock. At the point when a granitoid contains under 10% orthoclase, it is called tonalite; pyroxene and amphibole are regular in tonalite. A stone containing both muscovite and biotite micas is known as a twofold or two-mica rock. Two-mica rocks are commonly high in potassium and low in plagioclase, and are generally S-sort stones or A-sort stones. Outcrops of granite tend to shape tors and adjusted massifs. Granite some of the time happen in roundabout encompassed by a scope of slopes, framed by the transformative aureole or hornfels. 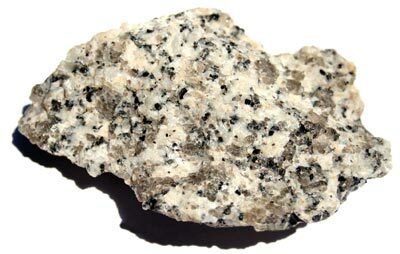 Granite is normally found in the mainland plates of the Earth's outside layer. Granite is at present known to exist just on Earth, where it shapes a noteworthy part of the mainland outside. Granite regularly happens as generally little, under 100 km² stock masses (stocks) and in batholiths that are frequently connected with orogenic mountain ranges. Little dams of granitic sythesis called aplites are regularly connected with the edges of granitic interruptions. In a few areas, extremely coarse-grained pegmatite masses happen with stone. Granite has been interfered into the covering of the Earth amid every geologic period, albeit a lot of it is of Precambrian age. Granitic shake is generally circulated all through the mainland outside and is the most plenteous storm cellar shake that underlies the moderately thin sedimentary finish of the landmasses. Granite has a felsic sythesis and is more normal in late geologic time rather than Earth's ultramafic antiquated molten history. Felsic rocks are less thick than mafic and ultramafic rocks, and along these lines they tend to escape subduction, while basaltic or gabbroic rocks tend to sink into the mantle underneath the granitic rocks of the mainland cratons. Thus, granitic rocks form the basement of all land landmasses. 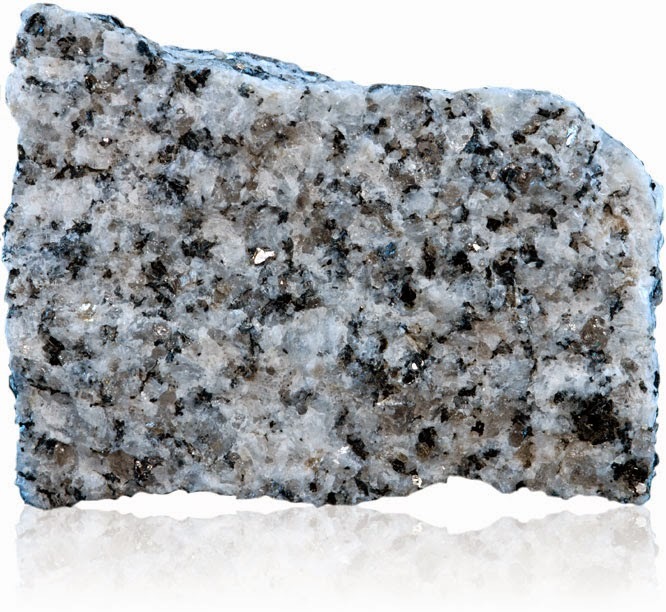 Granite is abundant in the Earth's crust found at many mountain ranges in their cores known as batholiths. The granite grains are larger which hence proved that it has been grown of magma slow cooling in a long period of time. These are exposed at the surface by the uplifting process as they grow deeper in the crust, no other way would have been present at surface. Granite when not exposed on the surface and is covered by sedimentary rocks doesn't mean they aren't there. They are present beneath the sedimentary cover as deeper crust have magma chambers which rise from mantle. So these hard rocks makes the basement rocks of the crust, hard enough to endure the sedimentary rocks overburden. Granite is used as a dimension stone, its properties of hard rock makes it well suitable for the job. These are resistive to abrasion, strong enough to endure the weight,inert to the weathering and it can be polished. The Red Pyramid of Egypt (c.26th century BC), named for the light crimson hue of its exposed limestone surfaces, is the third largest of Egyptian pyramids. Menkaure's Pyramid, likely dating to the same era, was constructed of limestone and granite blocks. The Great Pyramid of Giza (c.2580 BC) contains a huge granite sarcophagus fashioned of "Red Aswan Granite". The mostly ruined Black Pyramid dating from the reign of Amenemhat III once had a polished granite pyramidion or capstone, now on display in the main hall of the Egyptian Museum in Cairo (see Dahshur). Other uses in Ancient Egypt include columns, door lintels, sills, jambs, and wall and floor veneer. How the Egyptians worked the solid granite is still a matter of debate. Dr. Patrick Hunt has postulated that the Egyptians used emery shown to have higher hardness on the Mohs scale. The rock known as "black granite" is usually gabbro, which has a completely different chemical composition. Engineers have traditionally used polished granite surface plates to establish a plane of reference, since they are relatively impervious and inflexible. 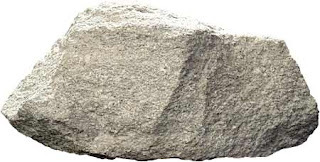 Sandblasted concrete with a heavy aggregate content has an appearance similar to rough granite, and is often used as a substitute when use of real granite is impractical. A most unusual use of granite was in the construction of the rails for the Haytor Granite Tramway, Devon, England, in 1820. Granite block is usually processed into slabs and after can be cut and shaped by a cutting center. Granite tables are used extensively as a base for optical instruments due to granite's rigidity, high dimensional stability and excellent vibration characteristics. In military engineering Finland planted granite boulders along its Mannerheim Line to block invasion by Russian tanks in the winter war of 1940. Curling stones are traditionally fashioned of Ailsa Craig granite. The first stones were made in the 1750s, the original source being Ailsa Craig in Scotland. Because of the particular rarity of the granite, the best stones can cost as much as US$1,500. Between 60 and 70 percent of the stones used today are made from Ailsa Craig granite, although the island is now a wildlife reserve and is still used for quarrying under license for Ailsa granite by Kays of Mauchline for curling stones.